Many people think green peas are just a poor man’s meat or a cheap restaurant side-dish that puts ‘green’ on your plate. However, peas are really little powerhouses of nutrition that are a boon for your health and the whole planet. Read all their benefits, how to use them properly, and some easy recipes. We start with the benefits of this tasty powerfood. Green peas are low fat but high everything else. 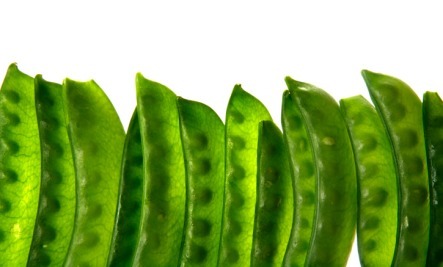 A cup of peas has less than 100 calories but lots of protein, fiber and micro-nutrients. Green peas are also able to grow on minimal moisture so they are a perfect crop in many areas not needing irrigation or using up valuable water supplies. 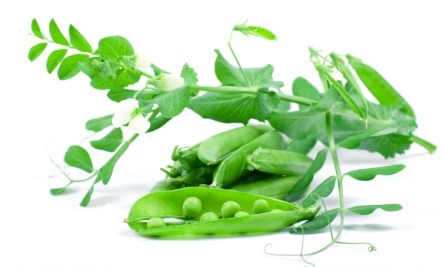 Just one cup of green peas contain 44% of your Vitamin K which helps to anchor calcium inside the bones. It’s B vitamins also help to prevent osteoporosis. Peas have such high quality protein that many commercial protein powders are starting to use it. This avoids the possible side effects of soy, or dairy products. See Is Your Protein Powder Toxic? Frozen peas retain their color and texture and nutritional content better than canned peas but of course fresh is even better. Dry peas (with 16 gms of protein per cup) have almost twice the protein contents as green peas and six times the protein content of snap peas. 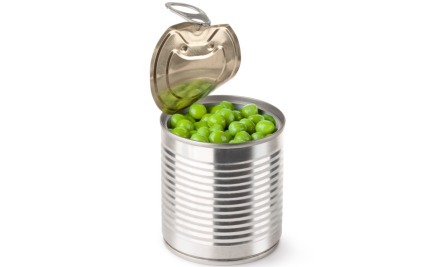 Both canned and frozen peas have significant amount of sodium (from 300 to 600 milligrams per cup) due to processing methods. Therefore, make sure you rinse well before using or better yet…grow your own! When buying frozen peas, usually the “petite” brands will be less starchy and more flavorful. I personally always choose these. When buying or using fresh peas the fresher the better as the sugar content transforms into starch. Refrigerate until use to slow down this process. Peas contain a substance called purines. People, who have problems like kidney disorder or gout, should not have green peas. This is NOT a problem for everyone else without this situation. 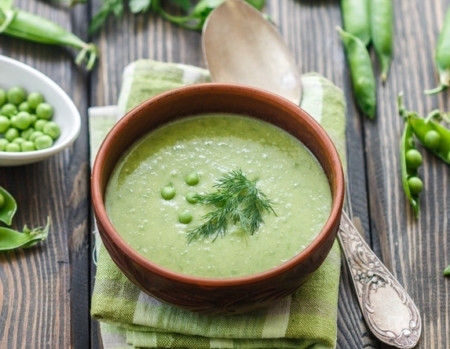 Fresh Quick Pea Soup: The name says it all. It’s only missing the word delicious. Chinese Vegetables: Diana’s version of an already healthy dish with sugar snap peas. Peas As A Side Dish: How a side is dish supposed to taste! Steamed Vegetables: Has snap peas in it. Does this hold true with regards to baby food (peas)? thankx very much. i ll be eating the staff every day. I didn’t know the nutrients value in peas, But i was eating raw peas from my childhood.. I love it. I was disappointed when I ordered string beans in my Chinese dish and my husband got me snow peas. Now I have to thank him. Thanks for educating me! peas are wonderful to add in your daily diet.I make soup out of them and feel refreshed whole day. I’m trying to get healthy and need to know if these are unhealthy. Please tell me if this isn’t a good idea to lose weight n get healthy. Sliced bell peppers and carrots raw, with light ranch dressing. Are those healthy? Can I loose weight on these? pls…can i copy your post to my website just for my project purposes. Cool ! Yep I’ll be including peas in my food regime as from today ! Thanks mate ? JUST I AWARE OF THE FOOD VALUE OF GREEN PEAS & MANY THANKS FOR THE SAME. While eating Peas,I did search benefits fo peas and i found your website… You described benefits in details… Thanks for helping me and many others… Keep it up! web ρage, thаt’s wɦat tɦіs website is providing. I eat the Steamfresh Sweet Peas by Birdseye and the package lists 0 mg sodium per serving. I just learnt the tricks of living healthy through consumption of cheap foods. I do cook peas with my white rice, I thought it was just garnishing.Thanks for the write up. Merry, cooking peas with your rice sounds delicious. Try brown rice for extra nutrition. Peas are not good for gout and kidney patients. PEAS ARE NUTRITIOUS BUT THOSE WITH GOUT AND KIDNEY PATIENTS MUST BE AWARE OF EATING THESE BECAUSE IT CONTAINS PURINES. This is good info. will be taking peas as a snack. Wow!!! Thanks for outlining these peas health benefits. Guess I will now add peas to any food I wish to cook and eat. Thanks for sharing these benefits of pea. This will encourage more intake as you have clearly stated what every person need to live healthy, keep up the good work. Really impressed by the fact that peas contain a lot of protein.. Thats very very informative so I really wanted to thank you for sharing. Doubt that peas are good for sugar patients bcoz they normally have risk of kidney disorders due to intake of high amount of tablets…..
Grea article. I love split pea soup, is this a healthy way to eat peas? Rob, haha! Thanks made me laugh.